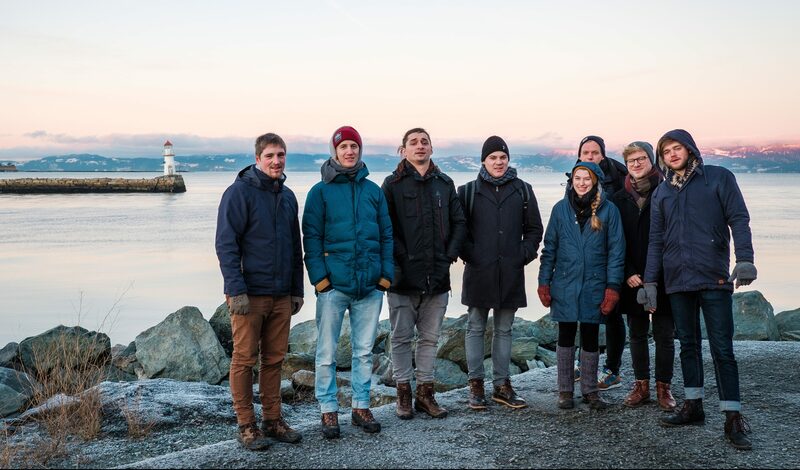 On December 11th 2018 five students from TUB, scientific assistant Anatolij Marinin and two tutors started their road trip to Trondheim, where the “Energies from Environmental Flows-Challenge” took place. While traveling they stopped in Rostock, Copenhagen, Gothenburg and Oslo. The students had been preparing for this challenge for two semesters with help of TUB scientific staff to achieve the best results. 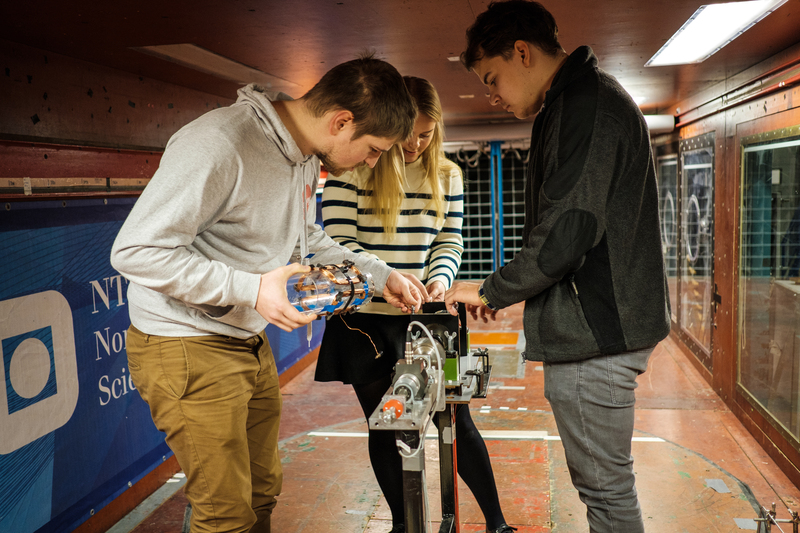 Like in recent years, the challenge was hosted by NTNU Trondheim. The competition was all about finding the best rotor and generator previously built by all participating groups. For the first time, the TUB group used carbon fiber and a vacuum infusion procedure to manifacture their rotor blades. The results were very satisfactory: the rotor had an effeciency of 32% while the generator reached 82% with a wind velocity of 12m/s. The total effeciency was 26%. This data brought the students to rank 7 out of 15. 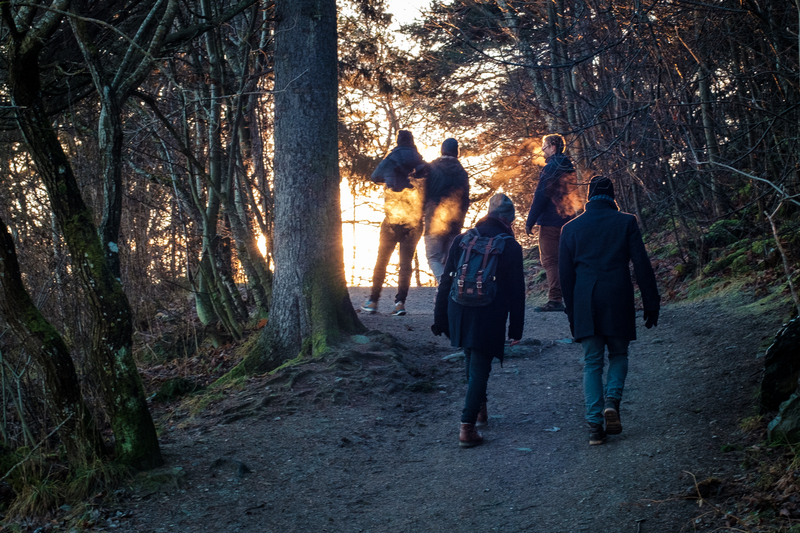 Spending several days in Trondheim offered them the chance to explore the NTNU campus and the town. On the way back the group again drove through Oslo, Gothenburg, Kopenhagen. Than they took the ferry from Gedser to Rostock and completed the last piece of their way back by bus.